Kogyo was born in Tagami Town of Niigata Prefecture. 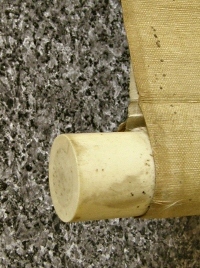 The scroll is slightly foxed as it was painted years ago. We estimate it was painted about 100 years ago. Spots, stains, folds and breaches are a little noticeable. 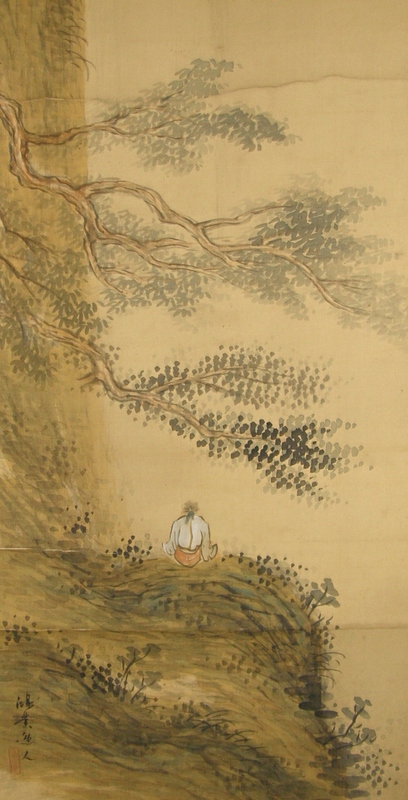 As a whole, the condition of this scroll is "so-so" or "not good". 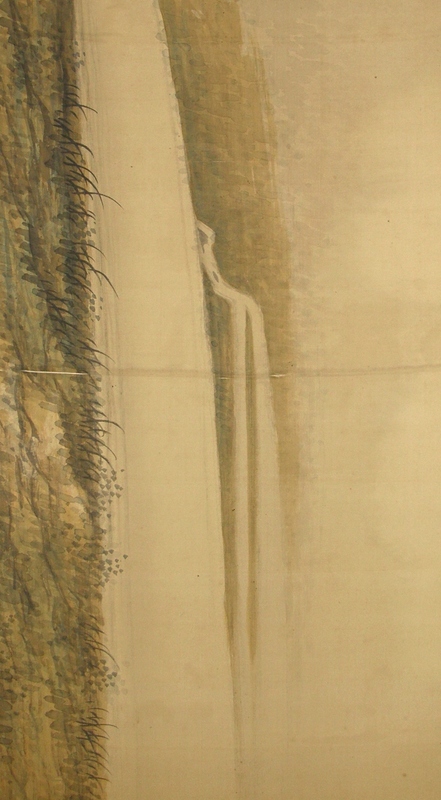 Although, a waterfall and a man in spiritual trial are drawn artistically.